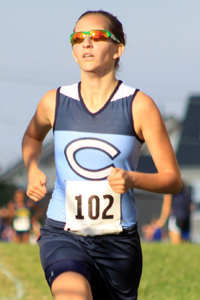 54 fans voted for female individuals in Mocorunning's County Championship Cross Country Poll. Below are the composite results of that poll. The votes are in and Abbey Daley came out on top as the county championship fan favorite. It was not a consensus vote as Daley had one more first place vote than Srour plus a few extra third place votes. Most of the votes were submitted after Daley's 18:29 victory over Srour, Beakes, and McUmber at the Coyote Invitational but before Srour got back at Daley at Glory Days. Other highlights from Daley's season include victories at the South Carroll, Oakdale, and South River Invitationals. As alluded to above, Srour has not been perfect this year with losses to Beakes and McUmber at Oatlands and a loss to Daley at the Coyote Invitational, but the defending county champ has also shined at times. She won three dual meets and clocked 18:42.2 in a second place effort at the Great American XC Festival. 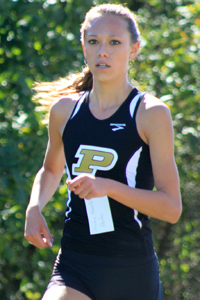 Most recently, she got back at Daley with a 19:02 12th place finish at Glory Days. 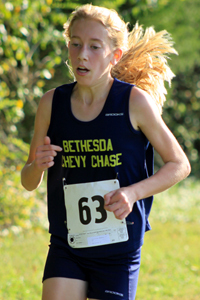 Beakes was the top Montgomery County finisher over Srour and McUmber at Oatlands with a time of 19:56. Again she was the top MoCo finisher at Paul Short with a time of 19:25. A time of 18:50 was only good for fourth place at the Coyote Invitational behind Daley, Srour, and McUmber. Having teammate Caroline Beakes to run with this year seems to have made a difference for McUmber. She ran 40 seconds faster than last year at the Paul Short Invitational with a time of 19:29 and recently raced to third place at the Coyote Invitational with a time of 18:42. Beautz missed a couple races in recent weeks but came back as strong as ever with a 25 second victory over teammate Chelsie Pennello at the Urbana Invitational in 18:54.2. 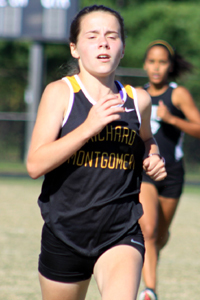 She also tied Abbey Daley for the second fastest Montgomery County time of 20:31 at the Bull Run Invitational, but she has not raced most of the other top ranked girls in Montgomery County yet this season. Pennello won all three dual meets she ran in this year, but in invitational races, teammate Beautz usually gets the best of her. 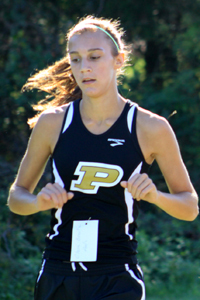 Pennello recently finished second at both the Urbana Invitational (19:19.1) and Don Stoner Invitational (20:04.2). Noall's victory in 20:08 at the Bull Run Invitational still ranks among the most surprising performances of the season, but Noall has proven in subsequent races that she belongs in the conversation with the top runners in the county. She finished fifth at the Coyote Invitational in 19:11 and finished just one second behind teammate Daley in 19:12 at last week's Glory Days Invitational. El-Masry finished just 8 seconds behind the winner and two seconds behind Abbey Daley in fourth place at the Frank Keyser Invitational in 18:10.6. She then won the Varsity B race at the Octoberfest Invitational by 28 seconds in 19:20. It was the same time that Anna Bosse ran at Octoberfest in 2008 when she went on to win the 4A state title. Latour won two dual meets this year and finished just a few seconds behind Noall in her last two invitational races. 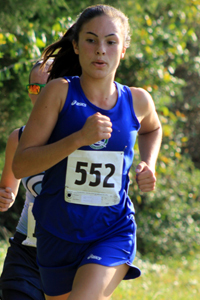 She finished seventh at the Coyote Invitational in 19:16 and 21st at Glory Days in 19:17. 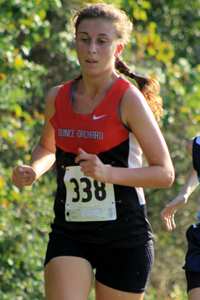 Watch out for QO teammate Cierra Wells who has gained on Latour little-by-litte in the last few races. Hanger was the top Montgomery County finisher ahead of Latour and El-Masry at the Track and Trail Invitational with a time of 19:03.1. 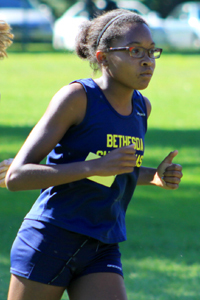 She won dual meets against Northwest, Walter Johnson, and Magruder including a winning time of 19:14 at Magruder. 46 fans voted for female teams in Mocorunning's County Championship Cross Country Poll. Below are the composite results of that poll. B-CC has had sophomore growing pains but still appears to be the dominant team in Montgomery County after winning the Coyote Invitational with 35 points over Churchill and Quince Orchard and taking second place at Paul Short and Oatlands. B-CC received 41 of 46 first place fan votes in this poll. If anybody can upset B-CC it will be the Quince Orchard girls who filled out their top five with the promotion of Elizabeth Hobbs after a win in the junior varsity race at the Coyote Invitational. After beating Churchill in a dual meet, QO finished fifth at Glory Days with three girls under 20:00. B-CC has the ability to put 5 or 6 girls under 20:00 so it will take incredible performances by everybody if QO is hoping for an upset. This top ten ranking as voted on by fans falls in line with what we have seen in dual meets and invitationals with a few minor exceptions. The Blair girls will take exception to being ranked below Einstein after winning the Consortia Championship last weekend. 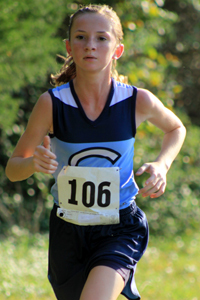 Clarksburg is a good guess for the tenth spot with two girls likely to finish in the top ten, but deeper teams like Sherwood and Walter Johnson could potentially race into the top ten this weekend. Tie breakers: Fans were asked to predict the winning individual time and team score. The average responses were 18:47.86 and 58.8 points. Tim Burton Studios and Co.